Guy, the gentleman from Papua-New Guinea with his two grandsons. 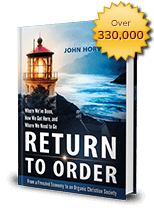 As I looked through my daily email for Return to Order, I came upon a curious request from man named Guy who had heard about the book and was interested in getting a copy. There was only one insurmountable problem: He was from Papua New Guinea. Getting the book, Return to Order, to foreign countries has been a constant problem for our campaign. With the discontinuation of the surface mail option by the U.S. Postal Service, all packages become prohibitively expense—often twice the value of the book. The more remote the country the fewer options were available. 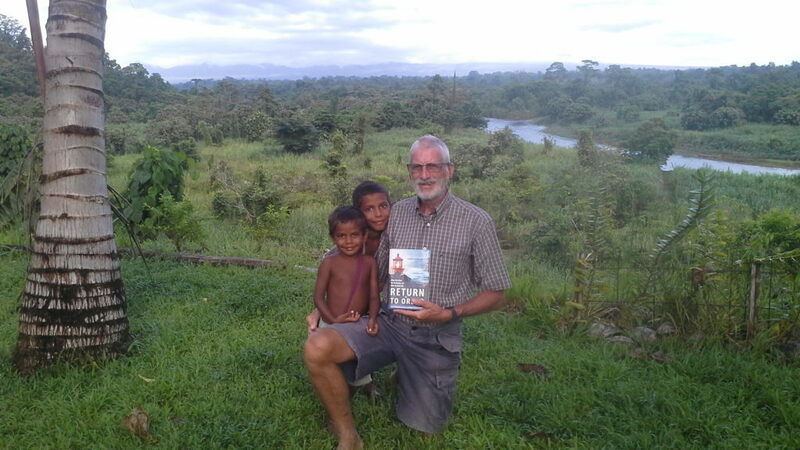 For Papua New Guinea the possibilities of sending a book at a reasonable price were just about nil. Thus, I often have to write back to interested reader telling them there is no reasonable option available to get a physical copy of the book for their country. This was going to be the case of Guy, the gentleman from Papua-New Guinea. However, an email arrived about the same time from a TFP colleague with our sister organization in Australia. He casually mentioned that he would soon be traveling and unable to attend to something I had asked of him. He would be going to Papua New Guinea. I immediately thought of my friend in Papua New Guinea but recalled that it is a big country with many islands. Would he be traveling to Bougainville, an island far from the mainland, where my friend lived? The chances were very slim. Nevertheless, I asked my colleague what his plans were. I soon found out that I had a mailman. My colleague was indeed traveling to Bougainville. Not only was he going to be on the island, but he would be visiting the Catholic parish where my friend regularly attends Mass. It would be quite easy to arrange a meeting and give him the book via jungle express. I made all the arrangements on both sides in the hope that everything would work out well. In the rush of things, the matter was soon forgotten. Later, I received an email telling me that my colleague had safely accomplished his mission of delivering the book. They had met at the parish church in this most unlikely of encounters. He is a Belgian who has lived in Bougainville for many years with his wife Denise, where they work as volunteers managing training programs for local youth. It was a great consolation to hear that the perennial Christian principles found in the book could resonate in a place that was so far and remote. Yet later, I received a picture of my friend displaying the hand-delivered Return to Order. In the background there is a scene of rich foliage and rice banks. I could not imagine the book in a more exotic place. It shows that, thanks be to Our Lady, the campaign has spread far and wide—very far indeed!